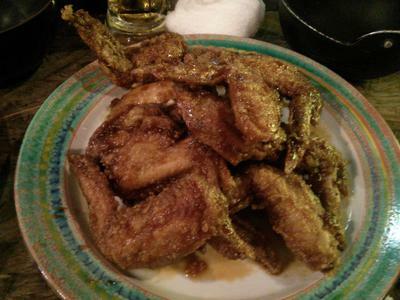 I love chicken wings and Meishibokami is one of the best chicken wing restaurants in Sapporo Japan. Deep fried chicken wings for 30 yen each! Yep, 30 yen. There is a limit to how many you can order per person, person order, but that seems to vary depending on the day. One time five of us went there and could only order five wings each. Another time, two of us ordered 20. There's other good food apart from the chicken wings, but the wings are the main reason for coming. The Zangi (fried chicken) is also some of the best I've had in my life, seriously. You also get a free bowl of veggies to start with accompanied with a delicious miso dip. 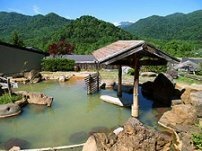 The nomihodai (all you can drink) is also cheap, about 1,500 yen for 90 minutes. Meishibokami is a great place to go in the summer as you can sit out front on turned over beer crates, proper ghetto style. The staff are kind enough to bring some cushions to sit on though, so don't worry about having your arse grid-ironed. The staff are really awesome and friendly here. They are also very good at recommending the number of chicken wings you should eat. Going in there with hungry eyes, we tried to order 50 chicken wings between four of us because they are so cheap, but the waitress advised against it. It was good advice. A typical meal with nomihodai usually costs me less than 3,000 yen and leaves me completely satisfied. The restaurant is conveniently located at South 4, West 6 right on the main road, on the same side as Macdonald's, about a five minute walk from Susukino station. 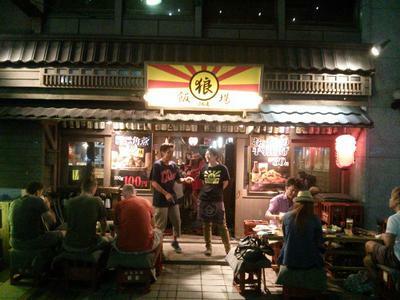 It's just past the main bustling Susukino area, so don't worry when you feel that there are no other restaurants around. Keep walking and you'll find it. Open from 6pm until 5am, Monday to Saturday. Closes at 1 am on Sundays. They only let us order five chicken wings each. I wish they would let us order more because the other food here really isn't worth talking about. More chicken wings please! My friends and I love the chicken wings. Sharing the address for easy reference. Good wings but they only gave me a maximum of five wings. The fried chicken was amazing as you said. Thanks. I love chicken wings too. Cheap and delicious. Thanks for the recommendation.